Presenting a very rare and beautiful old hand Pra Rahu Asura deva amulet, carved from Kala Ta Diaw (one eyed coconut shell), from a highly preferred top master of Wicha Pra Rahu, Luang Por Pin, of Wat Srisa Tong, in Nakorn Pathom. There are many levels of detail found in the carved Kala Ta Diaw of Luang Por Pin, ranging from that of the simple village artisan, to the fine master craftsman. This exhibit has a very nice level of detail and artistic interpretation. Luang Por Pin was the Looksit Aek (first and roemost apprentice in Wicha), to the Great Luang Por Noi, previous abbot of Wat Srisa Tong, who bestowed the Wicha onwards to Luang Por Pin in its entirety. The Wicha Pra Rahu Kala Ta Diaw of Wat Srisa Tong is perhaps the most famous of all temples in Thailand, with its lineage of great Guru Master Sorceror-Monks who have practiced this Wicha in lineage transmission since ancient times. When you begin to Bucha Rahu Deity, you should make the first ever session in the evening of a Wednesday (any time from 7 pm onwards). After you have done this once, you can make Bucha in the daytime if you wish, but the first time you must include the food offerings of black foods as well as the black incense. The second time onwards, only the incense is necessary in the daytime, if it is a lot of trouble to get the food offerings. The Pra Rahu Kala Ta Diaw of Luang Phu Noi and Luang Por Pin, are the most prestigious of all in the eyes of the Pra Niyom Collector Community. 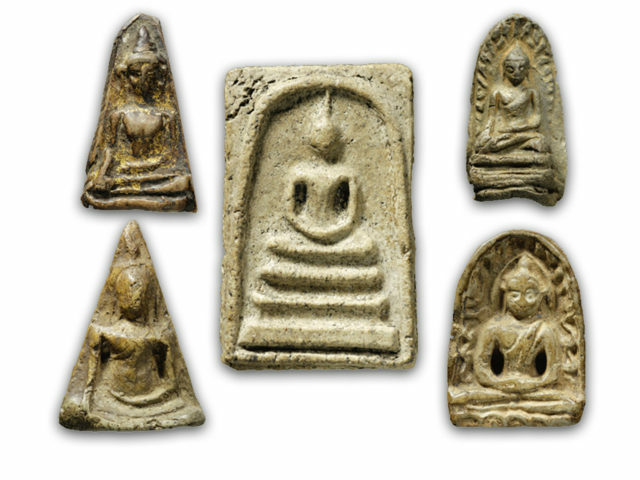 The Rahu amulets of Wat Srisa Tong themselves were made by Artisans, who were devoted Looksit of Luang Por Noi, who were mostly immigrants from Vientiane, in Laos, who moved to Thailand during the early Ratanakosin Period of Thai History. Luang Por would then would distribute them back to the devotees for protection and Serm Duang (improve fate and destiny). Over the years, Wat Srisa Tong grew constantly throughout the lineage of Abbots, from a small temple into a large impressive temple over the years. After Luang Por Dtrai's passing, he was succeeded by the new Abbot, Luang Por Dtan, who was succeeded by Luang Por Lee, who was then succeeded by Luang Por Tong, after which came Luang Por Choi, and then cam the fifth Abbot, Luang Por Noi Kantachodto. 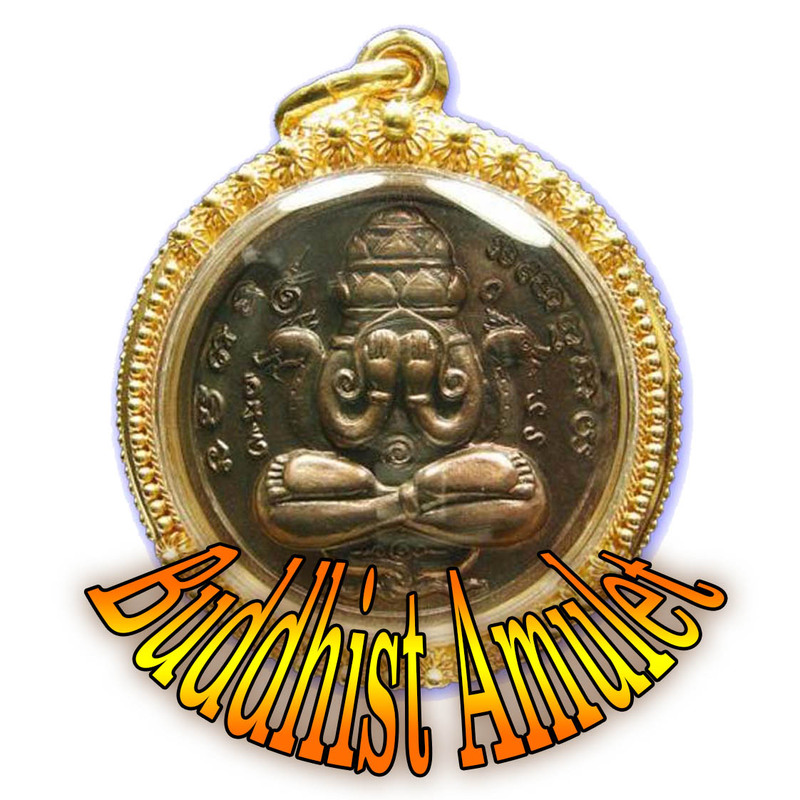 The Wicha continued on with the next abbot Luang Por Manich, whic also passed away now in 2559 BE. 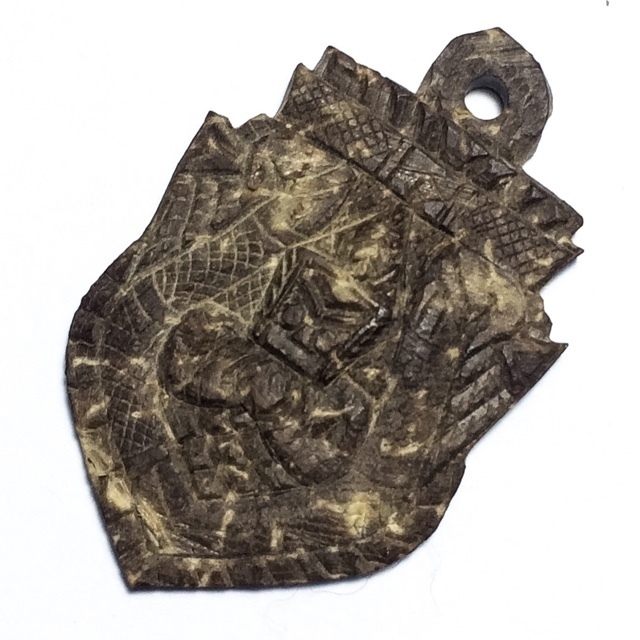 We await the appearance of the next Master of the Wicha Rahu of Wat Srisa Tong, and hope to find and present as many examples of the amulets of this lineage as we can over the coming years, to collect and admire.